Attractive, contemporary design with a curved open top that prevents objects from being placed on top of the can, keeping a neater overall appearance. Open top design for easy waste disposal. 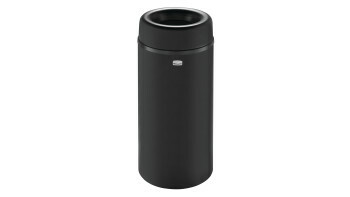 The Crowne Collection 12 Gallon FGAOT15 Decorative Indoor Waste Container has an attractive contemporary design with a curved open top that prevents objects from being placed on top of the can, keeping a neater overall appearance.